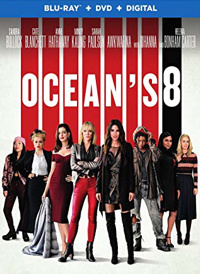 Synopsis: Upon her release from prison, Debbie, the estranged sister of legendary conman Danny Ocean, puts together a team of unstoppable crooks to pull of the heist of the century. Their goal is New York City's annual Met Gala, and a necklace worth in excess of 150 million dollars. Source: Warner Bros.